The Venum Training Camp 2.0 rashguard is ideal for practitioners of combat sports, cross-training, running and athletes from any other high intensity sporting activity. 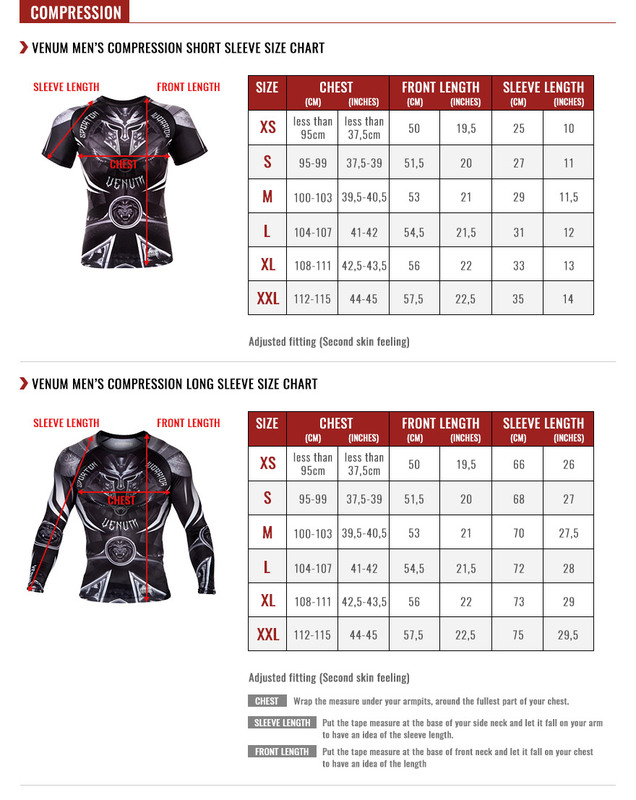 Featuring Venum’s compression technology, The Venum Training Camp 2.0 Rashguard gives your muscles maximum support and helps reduce muscle stress and fatigue, increasing circulation and providing an improved oxygen supply. The compression system can improve your performance and reduce recovery times. Thanks to the underarm mesh panels, this rashguard offers optimal perspiration wicking to help you stay dry. 87% Polyester - 13% Elastane: stretch and resistance. Venum Dry Tech technology: improved moisture management.Underarm mesh: for better perspiration wicking. Rubber taped hem for a perfect and consistent fit throughout training.